Hi! It's me, Jemellia! You should know that by all of the exclamation marks! It's already February! 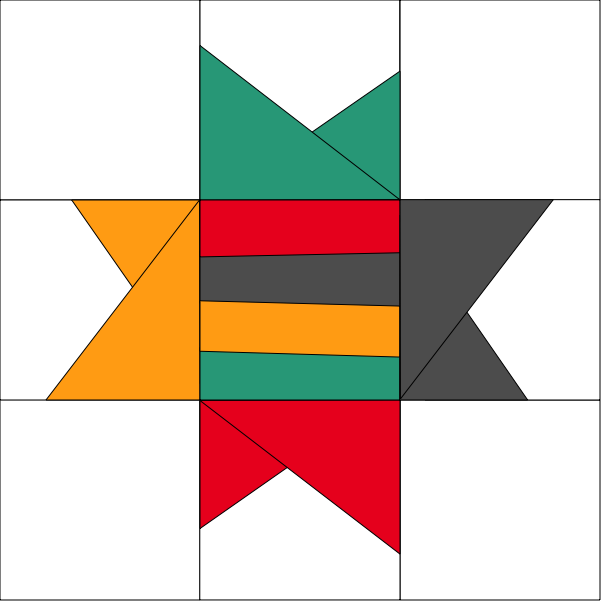 It's time for our Block of the Month! 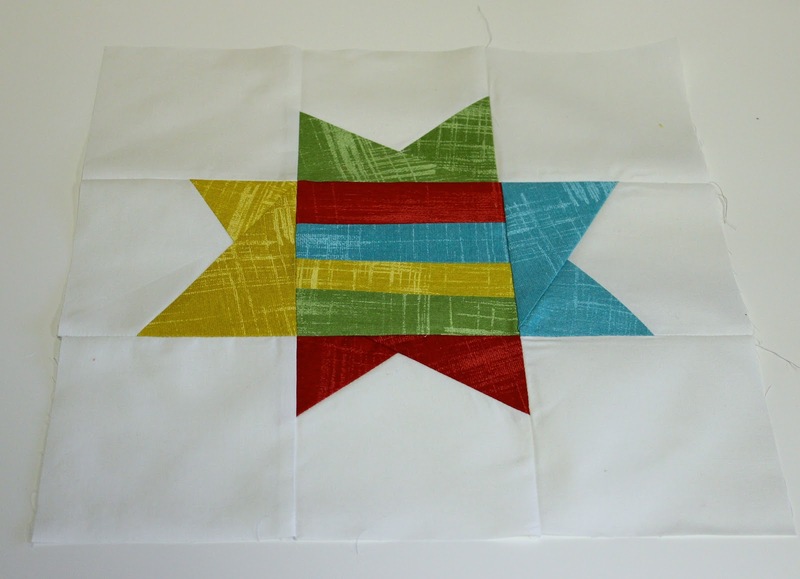 This month, we are doing a Wonky Star, it is a fast block to put together, I promise. *A quick note about star points--make sure your squares are AT LEAST 4.5 inches, they can be bigger if you would like (you will trim them later). Your star points can be all one color (as well as the center) or all 8 different fabrics like I did on this wonky star quilt. Take your 4 star point fabrics and cut them in half to make 8 triangles. 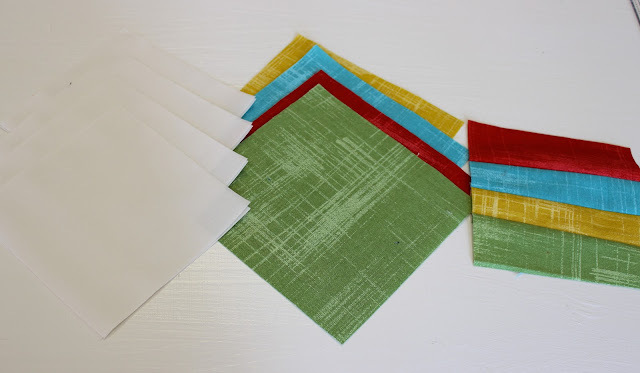 Sort your fabrics. Place your 2 star points with 1 background fabric. 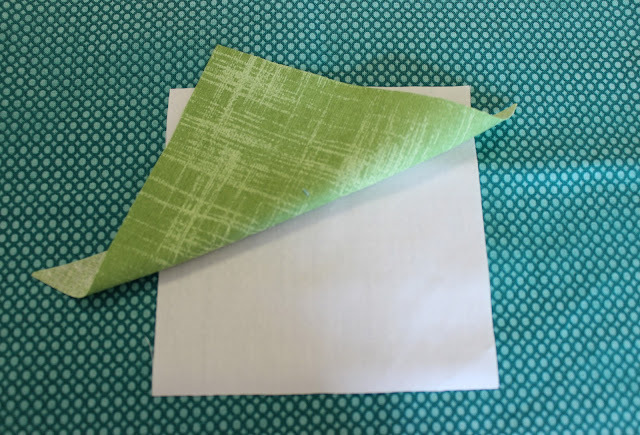 Take one background fabric square and one triangle, with right sides together, place triangle at a slight angle, pin, if desired. 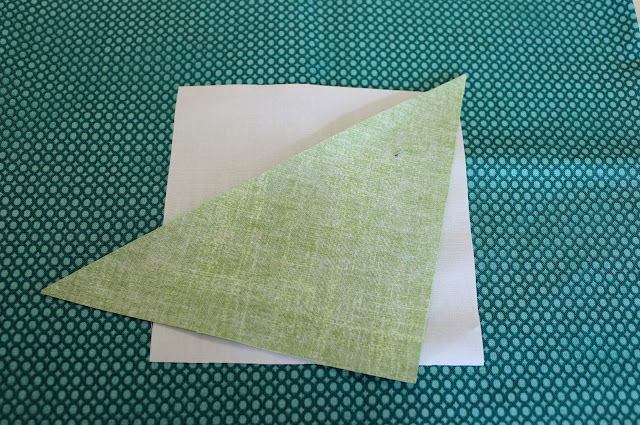 Before sewing, leaving room for a seam allowance, fold triangle back to make sure that you have covered the entire background square. 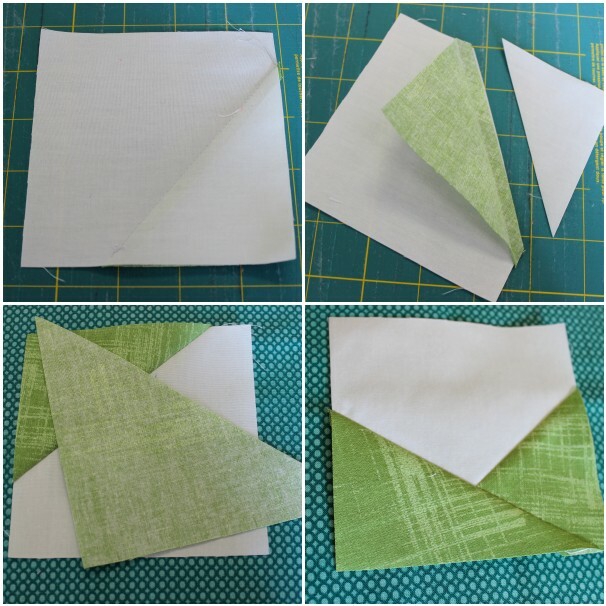 Trim your point fabric, you can do this one of two ways: square up block to 4.5," fold back triangle piece, trim background piece (pictured in pics 1 & 2). You can also just fold back triangle piece, trim background within 1/4" of stitched line, fold triangle back and then square up to 4.5." 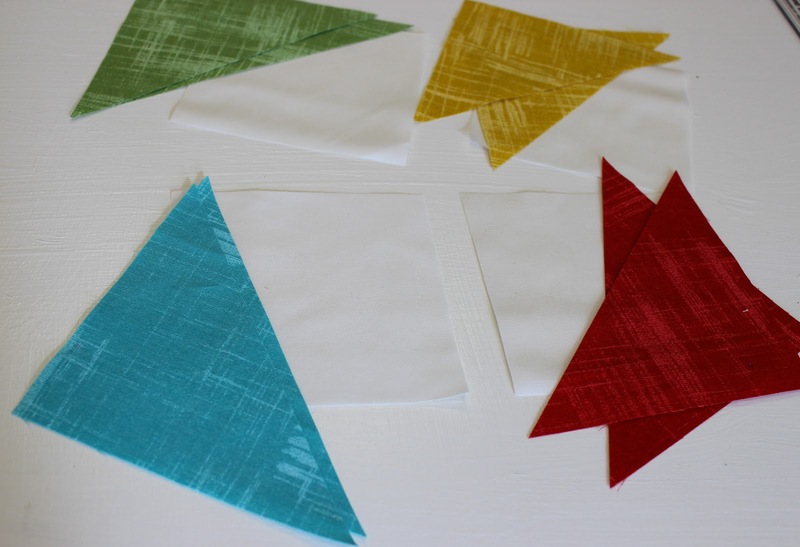 Take your second triangle and repeat steps to make another wonky star point. Press and trim, square up block to 4.5" (pics 3 & 4). Repeat 3 more times with remaining 3 background squares and 6 star points to equal 4 blocks. Now, lay out your nine squares as pictured below, I couldn't decide on a fabric for my center, so, I just took some scraps and sewed them together slightly wonky to make a 4.5" square. 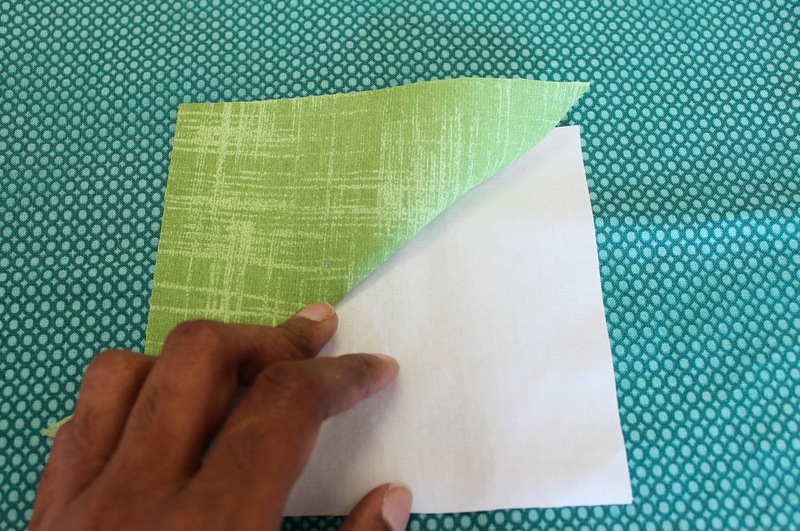 Sew top row together, press seams either open or to one side. 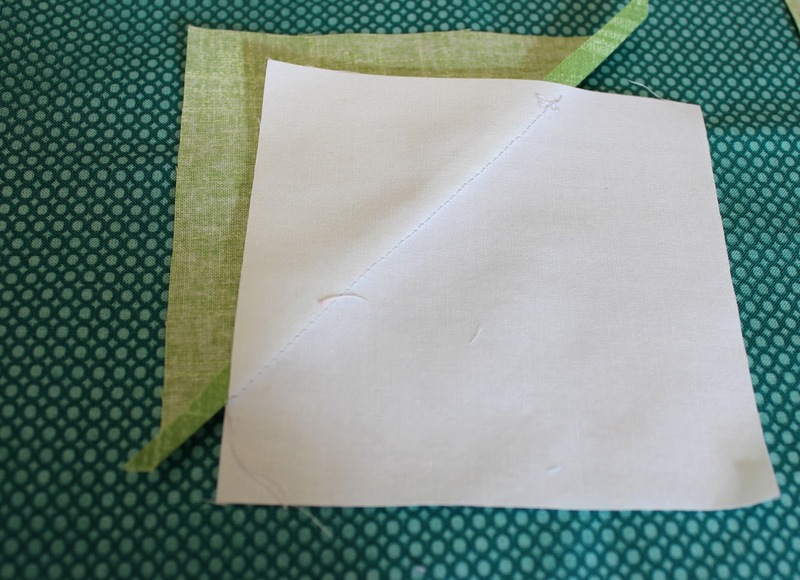 Sew second and third rows, if you press seams to the side, alternate direction for the next rows. Next, sew your rows together, press seams open. 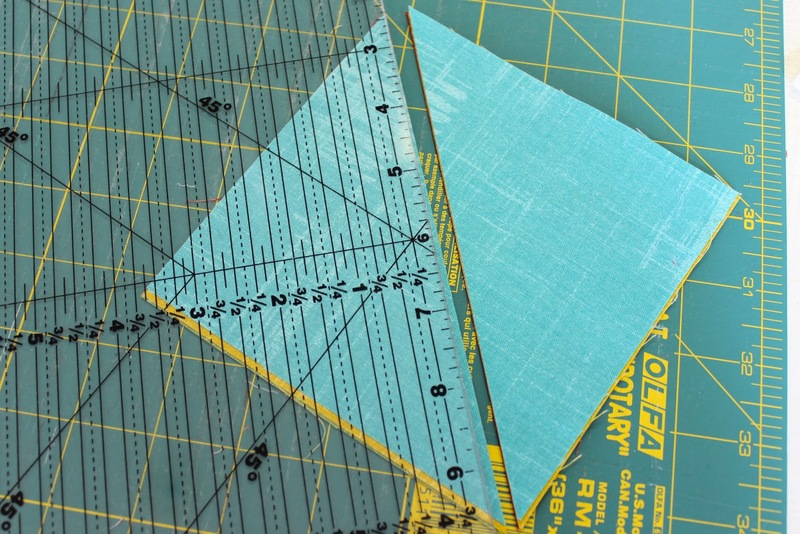 Square up your block to 12.5 inches and you are done! See, so fast! Don't forget to add your block to our Flickr group. Join us next month for March's block! It would be really nice to have the PDF version of this block. Thanks. We have a couple different people working on this months block posting. Cute twist on an old favorite! Thanks for the tute!